None of this has curbed our enthusiasm for the park’s quickly approaching official opening (April 27th) and early opening (April 17th). but we will take extra care to stay warm. Q: What hotels and other accommodations are open from April 17th? 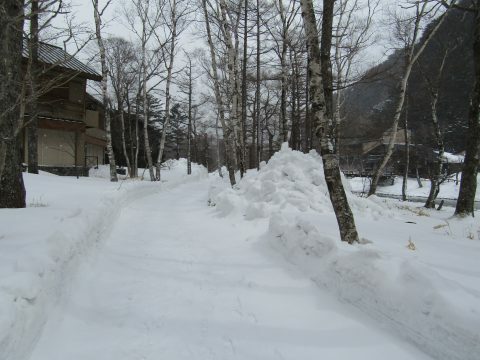 A: Of the hotels in Kamikochi, only the Gosenjaku Lodge is listed as open from the 17th. Most other establishments open later in the month, on or around the 27th. 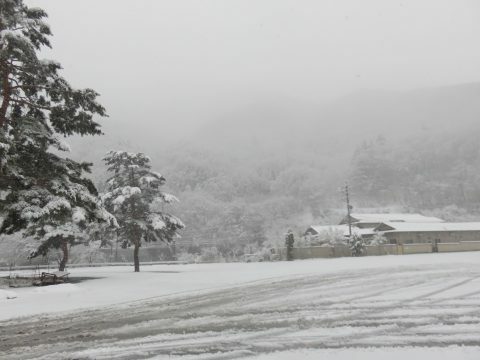 Please note that some places which are near Kamikochi but outside the actual park operate year round. 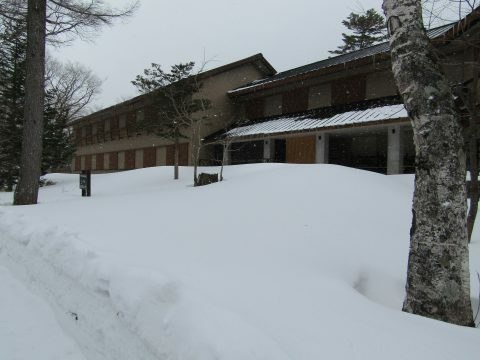 Two such places are the Nakanoyu Spa Inn and the Sakamaki Spa Inn. Q: Where can I get live weather information on Kamikochi? A: Try copy and pasting 上高地天気 into your search engine. You should get some up to date info about weather. Q: Will the Baggage Check service be operating from April 17th? A: Seemingly not. Kamikochi’s official Japanese language site lists the baggage room as opening on the 27th. Q: Will any restaurants be open from April 17th? A: Yes, the Kamikochi Diner (上高地食堂, in Japanese) is listed as opening on the 17th. Looking at this Japanese language site should give you some idea of what’s on the menu. Q: Can I get a single, handy list of opening dates like the one you guys posted for 2018? A: Sadly not. The rush to prepare for the opening later this month caused a delay in the compilation of this year’s list and no such item has been published. Q: What’s the world’s fastest land animal? Q: Can I climb Yarigatake on April 17th and will the mountain huts up there be open by then. A: In answer to the first question, only well-equipped and experienced winter hikers should attempt to climb Yarigatake or a similar peak at this time of year. There’s still lots of snow and the risk of exposure, fatal injuries and a host of other nasty outcomes is very high. As for mountain huts, the higher altitude ones tend to open on April 27th or later. Q: I read somewhere that buses from Matsumoto/Shinshimashima/Sawando start running on the 17th. Is this also the case for the buses from the Takayama/Hirayu approach? A: Yup. Read all about it on the Nouhi Bus homepage. Q: I’ve looked everywhere but can’t seem to find the schedule for Matsumoto to Kamikochi buses. That’s all for this week’s blog. Thanks as always to the bloggers at Five Sense for providing valuable images and info.